There is a growing demand for aging services. The ability to provide quality services to older Kansans in a compassionate and supportive environment is highly dependent on a committed and dedicated work force. 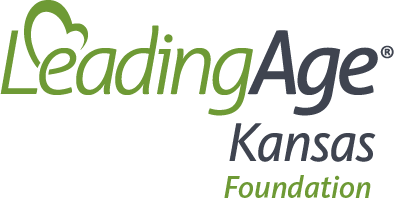 The LeadingAge Kansas Foundation provides scholarships for the purpose of attracting and retaining talent in the field of not-for-profit aging services. It is not intended for the Center for Leadership. Funding for the scholarship program comes from the generous support of our members, valued business partners and any other individual or organization interested in advancing the health and well being of older Kansans. The LeadingAge Kansas Foundation is awarding up to five scholarships from $500-$1000 each this year to individuals seeking to expand their education to support aging services. We are specifically interested in providing scholarships to individuals seeking to advance their learning in the areas including but not limited to: CMA, SS/AD, CDM, Social Work, AIT, Adult Care Home Operator, or other forms of post-secondary education. The deadline for applications is August 1st. *According to LeadingAge Kansas bylaws Article II, Section 1(a) a Full LeadingAge Kansas member is any adult care home, retirement housing provider, social or health related service for the elderly located in the state of Kansas that is organized or incorporated as a not-for-profit organization may become and remain a Full Member of this Association by submitting an application for membership and its approval by the Board of Directors and the payment of dues as shall be prescribed by the Board of Directors. All applicants must be employees of LeadingAge Kansas members. We will not fund applications seeking to reimburse their employer for education they would otherwise pay for. Individuals may apply online by August 1st. All application attachments must be included for scholarship consideration. Two letters of recommendation. One must be from your Administrator/CEO on letterhead and signed with an official signature. The scholarship recipients are determined by a selection committee appointed by the Foundation Board of Directors. Scholarship recipients will be notified within 90 days of the application deadline and will be highlighted at our Fall Conference. Disbursement of scholarship funds will be made directly to the selected school or program or to the individual after a valid receipt of course payment is provided to the LeadingAge Kansas Foundation. 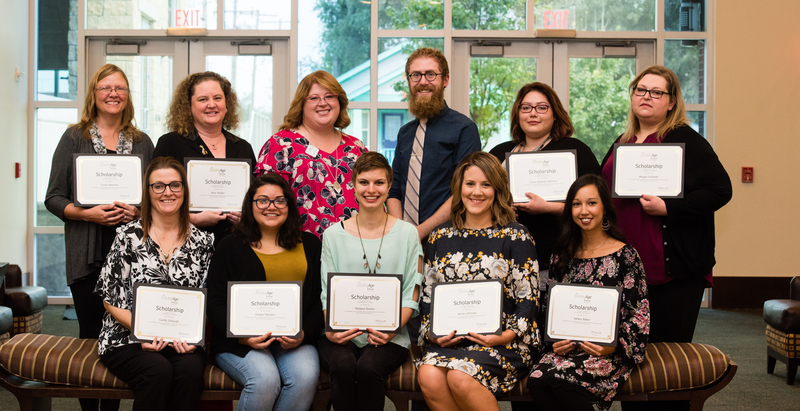 Recipients are responsible for returning scholarship funds if they do not attempt to take the coursework scholarship is designated for or they leave employment of a LeadingAge Kansas member organization within one year of receiving notification of the scholarship. What do you want to do/study? When do you plan to do it? How will the scholarship impact you personally and your service to others? Submit signed reference letters. Typed names and cursive type fonts don’t lend authenticity to the signer. Professional letters from your company should also be on company letterhead. Include a work appropriate photo. Winners may be featured in LeadingAge Kansas publications and you’ll want to represent your company in a professional way. Expand on community involvement and volunteer experiences. We love reading what you do but also want to know why do you do it. Bonus points if the connection to a positive impact on Kansas elders is made! Keep your responses to the scholarship prompts/questions in a separate document instead of typing directly under the prompts. If you have received a scholarship from the LeadingAge Kansas Foundation in the past acknowledge those in the application. The donors and stakeholders love to see how they have impacted you. Leave blanks or gaps, avoid sentence fragments and one-sentence answers; the scholarship committee would rather read your completed application than have to make inferences. Procrastinate on your application. It’s easy to spot quickly thrown together applications. Those showing little effort don’t rise to the top! Did the applicant provide an adequate overview of their employment history? Does the applicant perform any leadership and volunteer contributions for their community? Did the applicant adequately portray why he/she wanted the scholarship? Did the applicant provide their Career/employment goal? Did the applicant provide adequate information/documentation about the education they are seeking to receive? Overall impression of the application. Questions about scholarships can be directed to Tina Andres at 1.800.264.5242.